Enjoy delicious tea, cakes, good company and the warm glow of supporting a great cause! Gather a few good friends, get out the good china and brush up on your sandwich-making skills. It's time for Tea. Afternoon Tea to be exact. This wonderful British tradition is already pretty great, but we think that it can become even better by being the focal point of a delicious slice of fundraising for leukaemia research. 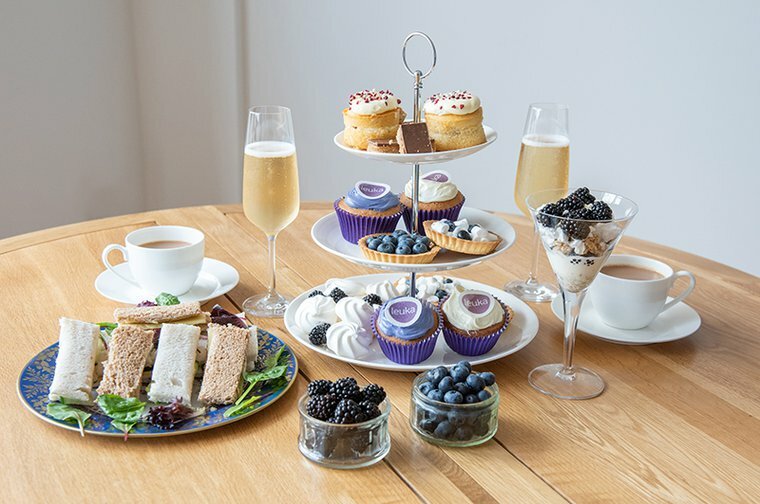 'Leuka Loves Afternoon Tea', is a great excuse to get people round, enjoy a little indulgence and raise some funds and awareness about Leuka's life-saving work. This new(ish) event, launched last year, kicks off during the UK's annual Afternoon Tea week (in mid August) and runs right up into Blood Cancer Awareness month in September. Supporters who register to take part and hold an Afternoon Tea for friends, family, colleagues or neighbours, will receive an Afternoon Tea kit and an email full of hints and tips to help them get started. You can check back here for more information about the 2019 event (we have some great things planned), or sign-up to our newsletter and get it delivered direct to your inbox.